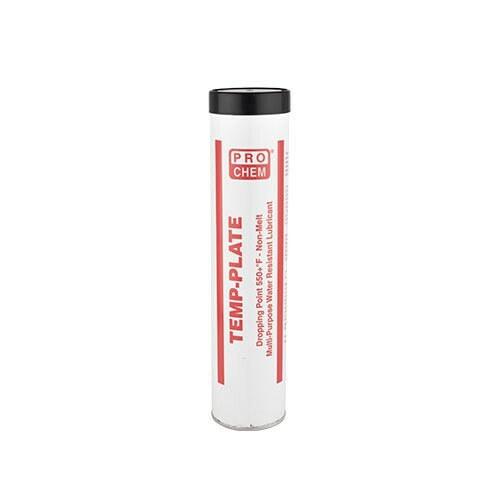 Temp-Plate | Pro Chem, Inc.
TEMP-PLATE is an all-purpose, nonmelt grease specially formulated with extreme pressure and antiwear additives to provide heavy-duty service. This grease resists most acids, weather, dirt, salt spray, steam and oxidation. This product is very similar to our HI-TEMP grease, but because it is a little softer, it is even more of an all-purpose grease. This product is appropriate for use as a lubricant with no food contact in official establishments operating under the federal meat, poultry, shell egg grading, and egg products inspection programs. This compound may be used on equipment where there is no possible contact between edible products and lubricants or lubricated parts. 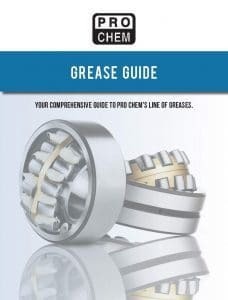 For ball type grease fittings, fill until old grease is forced out. For exposed surfaces and accessible areas, use a degreaser to remove old grease before applying.